The study, published in PLOS Medicine(link is external), is based on 27 years of data from Mana Pools National Park in Zimbabwe. The mathematical model developed by Dr Lord and co-authors suggests that temperature increases over the last three decades have already caused major declines in local populations of tsetse flies, thereby providing a first step in linking temperature to the risk of sleeping sickness in Africa. 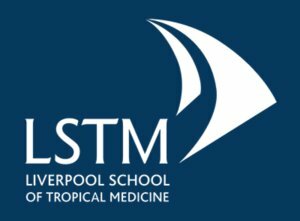 Researchers from the Liverpool School of Tropical Medicine, the South African Centre of Excellence for Epidemiological Modelling and Analysis(link is external) (SACEMA) at Stellenbosch University, and the Natural Resources Institute at the University of Greenwich(link is external), developed a mathematical model used in the study. The results, which were only made possible because of prolonged laboratory and field measures of fly densities, provided evidence that locations such as the Zambezi Valley in Zimbabwe may soon be too hot to support tsetse populations. Professor John Hargrove, Senior Research Fellow at SACEMA, says the effect of recent and future climate change on the distribution of tsetse flies and other vectors, particularly mosquitoes, is poorly understood: “We don’t know, for example, whether the resurgence of malaria in the East African highlands in the 1990s was caused by rising temperatures or by increasing levels of drug resistance and decreasing control efforts.